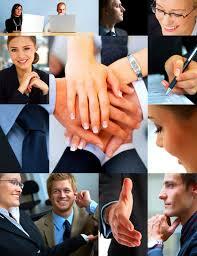 A labor relations manager plays a huge role in both small and large companies and also in government agencies. As part of the management team, the head of labor relations will communicate with both employees and other department managers to guarantee that each group is happy and that all of their needs are met. While some labor relations managers will work in government agencies, with unions, or as independent consultants, it is not out of the ordinary for these managers to be employed directly by the company that they work for. If you are interested in working in labor relations and would like to know what a manager does, read this job profile and learn what you need to know. What is the Purpose of Labor Relations Managers in Each Sector? The main purpose of hiring labor relations managers is to stay informed on wage and labor laws and to communicate messages between each groups so that conflict can be avoided. When there is a conflict in the workplace, it is very common for the manager to intervene before the issue elevates and there is dissatisfaction or disruption. They may pull several different employees and managers aside, mediate the situation, and come up with a resolution that everyone agrees upon. When working with union representatives, it is common for the manager to explain management’s viewpoints to the reps when contracts are being drafted. What are the Daily Duties of the Labor Relations Manager? Labor relations managers can be extremely busy in the workplace because they are expected to attend employee meetings and management meetings. They will take notes, document topics that should be brought up in discussion, and observe the meetings for signs of potential conflict. Documentation of all workplace activities and also of workplace communications is very common no matter what sector you work in. When complaints arise or there has been a reported conflict, the manager will sit down with each party, listen, and remain empathetic. If a conflict could pose a violation in labor laws, the manager may work with representatives to mitigate. To become a labor management professional, most employers prefer that you have no less than a Bachelor’s degree. Majoring in business administration, human resources or labor relations will prepare you for the field. You may need to begin your career track as an entry-level professionals working in advocacy or labor relations. Once you get experience and you work in the setting proving your abilities, you can climb up the ladder and demonstrate what an asset you would be in management. Having a graduate degree can help you become a more marketable manager for larger corporations or players in the public sector. Whenever you want to enter a new field it is important to do your research. You should be aware of the projected demand in the field and the average salaries. While all of this data does change, projected growth in management in labor relations is reported to be 13 percent. The average salary of a manager is $99,720, but you can earn much less or much more based on the type of company you work for. Now that you know what a labor relations manager does and how you can get qualified, it is time to get to work.